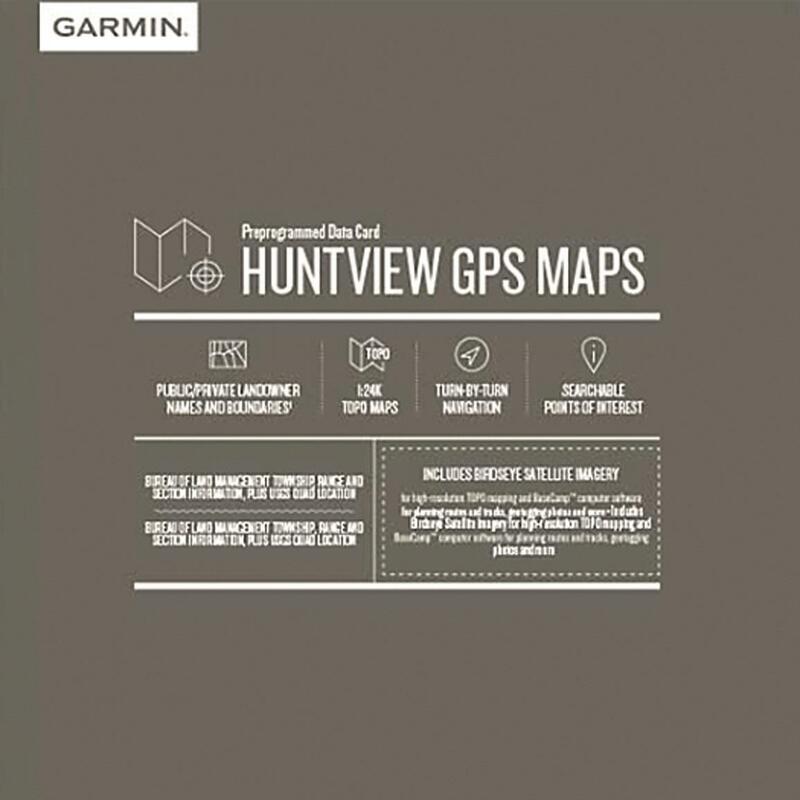 Detailed hunting map solution for Garmin® handheld GPS devices. 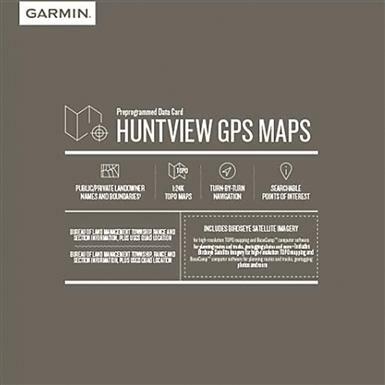 Finding the best hunting ground just got easier with the Garmin HuntViewTM Map. HuntView uses data from multiple sources to give you superior detail, including the landowner names for private lands, making it easier to ask for permission to hunt that abundant ground you've had your eye on. Get routable road and trail data for public lands, including BLM, National Wildlife Refuges, National Parks, WPAs and WMAs. Preloaded microSDTM card features exclusive BirdsEye Satellite Imagery and 1:24K scale TOPO mapping for detailed navigation. Compatible with BaseCampTM software that lets you manage your GPS data, or computer data for trip planning, transferring waypoints, playing back routes, geotagging photos, and more. You can even keep a track log, making it easier to return to the best hunting spots.